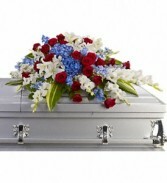 A Lovely Spray for the casket of all carnations and mixed greens. 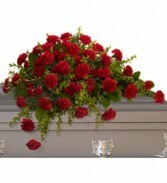 Red is pictured but most colors can be substituted. 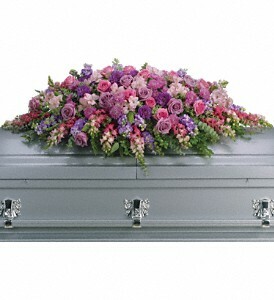 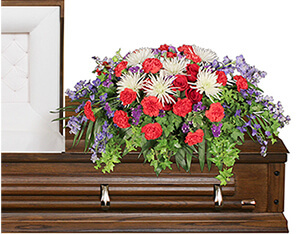 A beautiful mixture of lavender flowers and Mixed greenery in a casket spray covering the casket. 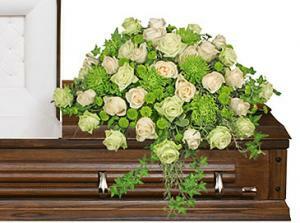 An all white casket spray with mixed flowers and mixed greens. 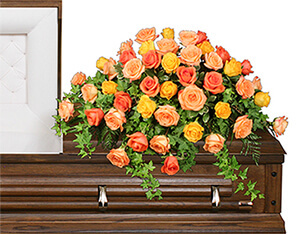 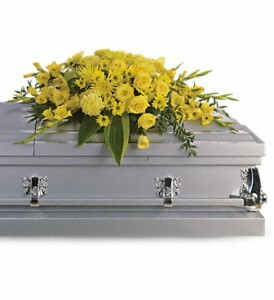 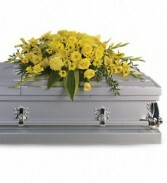 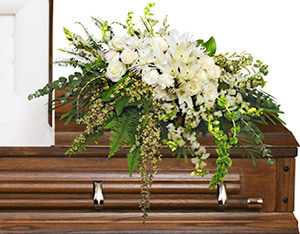 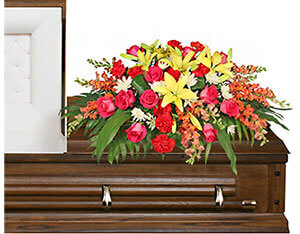 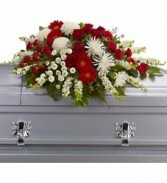 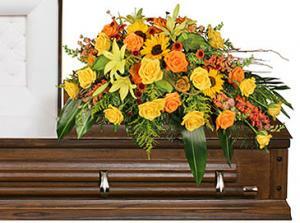 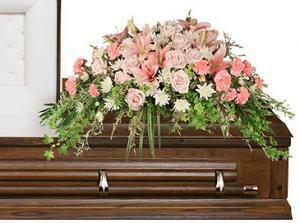 A beautiful mixture of yellow flower and mixed greens in casket spray to cover the closed end of the casket. 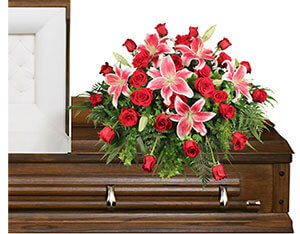 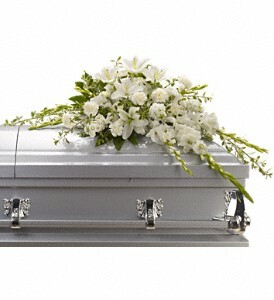 This beautiful casket spray has red roses and other mixed red and white flowers and mixed greens.